Many holidays revolve around food, but none so much as Thanksgiving. Our first Thanksgiving as a married couple away from home was a disaster! We invited some close friends and I set about cooking my very first turkey, which was way too pink inside when we carved my "masterpiece." I was so embarrassed! Ok, that's all I'll say about that. I'd prefer to forget the whole thing. If you need tips on roasting your first turkey, here's a link to the Butterball hotline. I wish I'd known about it back then. Organizing that big meal was a challenge for me though, so years ago I made a list of the dishes I cook each year and where I could find the recipes. Since then I've tweaked the recipes quite a bit and have typed them up so I can keep them with that list of dishes in my looseleaf cookbook. It's a lot handier than flipping through all those different cookbooks. Fast-forward a few more years and I typed up a shopping list for each recipe and added that to my looseleaf cookbook too. I was tired of forgetting the cornstarch and evaporated milk! Our Thanksgiving menu is a mix of old family favorites and new additions. 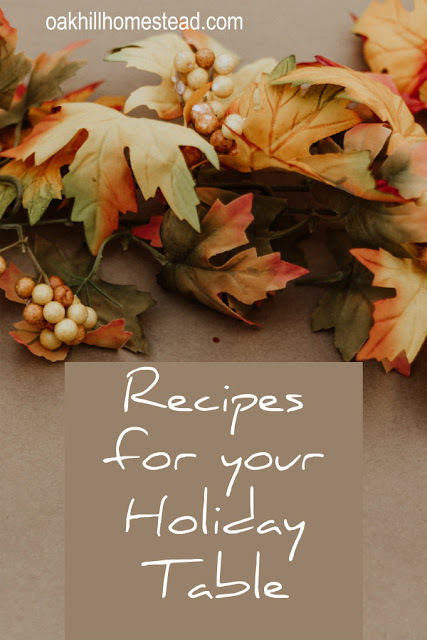 While no two families' holiday meals will look exactly the same, if you're looking for a new recipe or some practical tips on holiday cooking, you're in the right place. When the turkey is cooked to perfection (yes, I can do that now!) 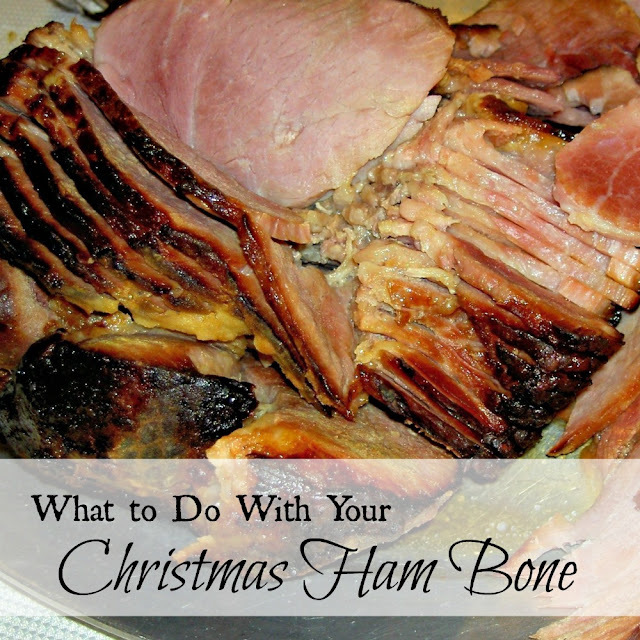 and we've all eaten our fill, I pull all the meat off the bones and refrigerate it for sandwiches and other dishes. After a couple of days any meat remaining is canned with homemade turkey stock for future meals. 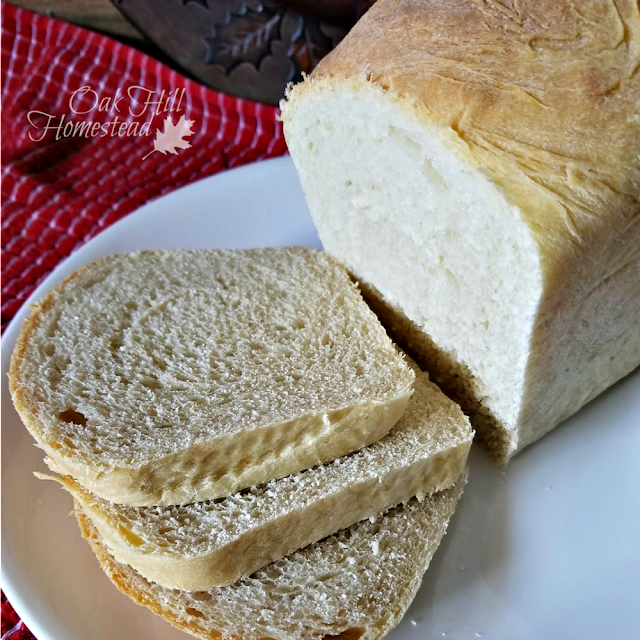 You can read how to do that in this post about pressure-canning chicken broth (it's the same process, even though it's turkey instead of chicken). Here's how to make delicious turkey gravy using the drippings from your turkey, from Food Network. 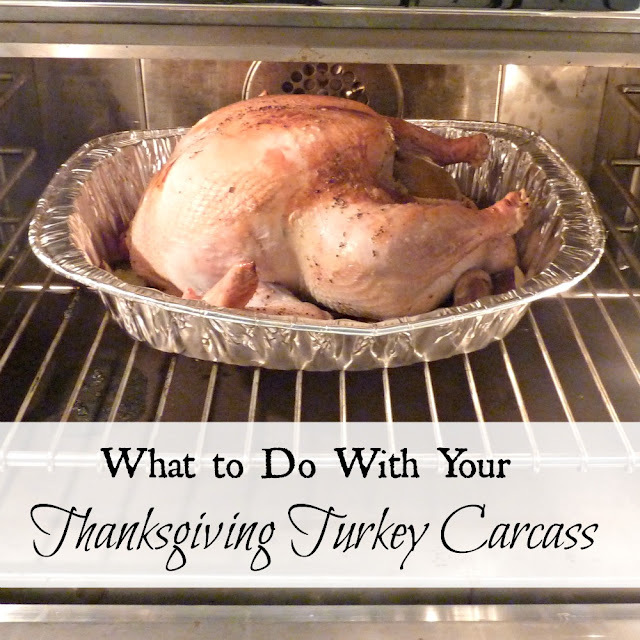 Don't throw out the turkey carcass! Save those bones and the skin and wing tips to make the most delicious turkey broth/stock ever. (According to Food Network, stock is made with bones while broth is made from meat, so technically I made stock, even though the terms are used almost interchangeably.) Freeze the stock in 2-cup or 1-quart quantities so you can use it to make soup and add to other dishes instead of chicken broth, or pressure-can the broth. I love stuffing that's cooked inside the turkey, but that practice isn't recommended anymore. When I've made it separately in a pan in the oven it's too dry and hard for my liking. Now I make it in my slow-cooker instead for a moist delicious stuffing that's as good as if it were cooked in the turkey. 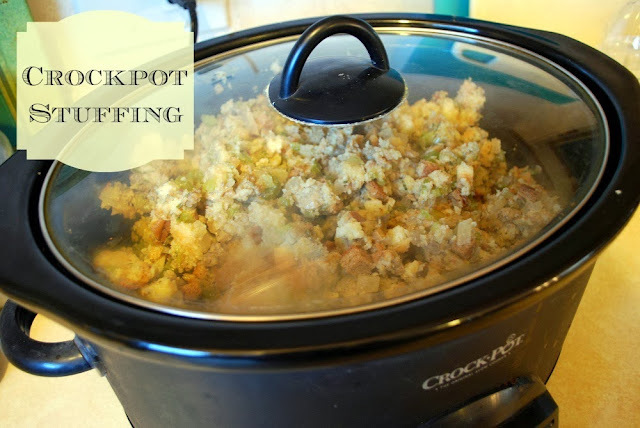 Making stuffing in the Crockpot also means you'll have more room in the oven for the holiday pies. 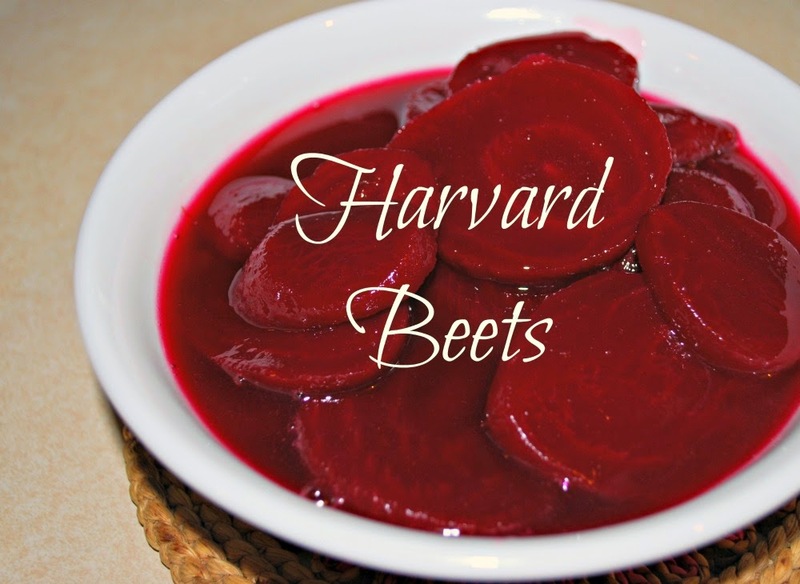 My grandma made the best sweet and sour beets (she called them Harvard beets) whenever we ate dinner at her house. Years later she told me that they were the only vegetable I'd eat at her house. The sauce has a velvety texture and is the perfect mix of sweet and tart, not to mention the gorgeous deep red color. When my other grandmother tried to make them for me once, we ended up with a weird, thick pink sauce instead. The secret is to use the juice from the beets instead of water. We round out our holiday meal with candied sweet potatoes, mashed potatoes, turkey gravy, homemade rolls or bread, green salad and my mother's simple but yummy fruit salad. Someday soon I'll have to write a post about that fruit salad. Then of course, it's time for dessert. My favorite pie is cherry. Before moving to Oak Hill our neighbors had cherry trees and always invited us to pick cherries when they were ripe, so back then I made our cherry pie from scratch. I sure miss those trees! We even planted a pair of sour cherry trees when we first moved to Oak Hill but they didn't survive, and since cherry leaves can be toxic to goats I decided not to replant them. But I won't do without my cherry pie, even if it means I have to buy canned filling. 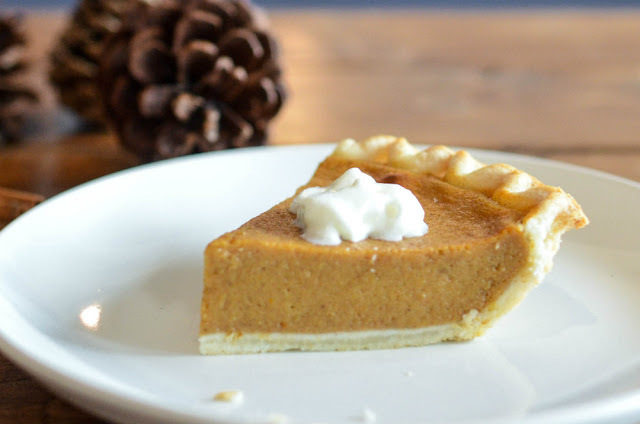 We also have pumpkin pies on the table. Each year I snag some cheap pumpkins on November 1st and turn them into pumpkin puree that goes into the freezer. 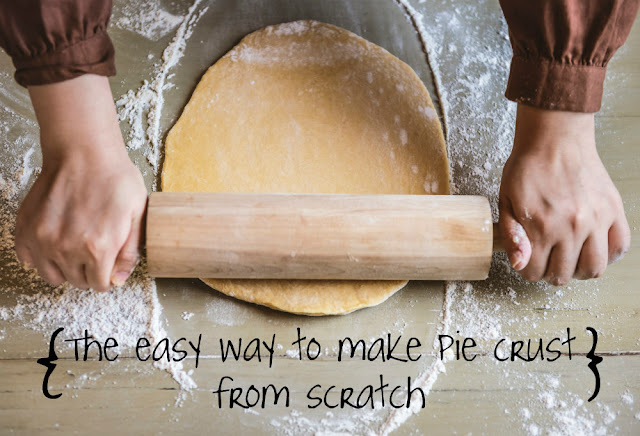 Do you need some tips for making pie crust? It isn't hard using this method. And while you're making pie crusts for your fruit pies, why not make two more for the turkey pot pie you can make with leftovers on Friday? Grandma always made her "special chocolate pudding" for me when I was a child. Years later I found out her pudding came from a box. But it was made with love, right? 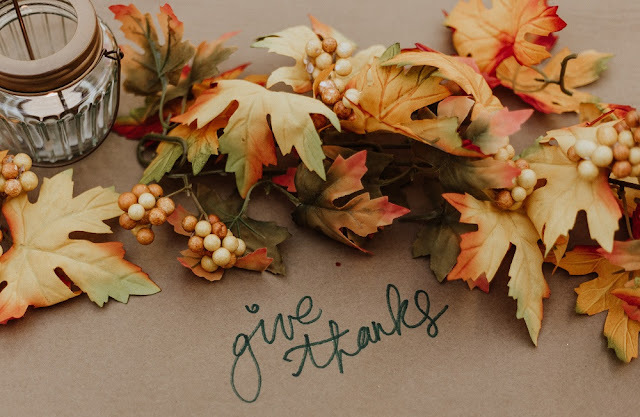 What are you planning to have on your holiday table this year? Jam Bars - an excellent way to use up extra jam or jelly you've canned. Peanut Butter Finger Cookies - an award-winning recipe.